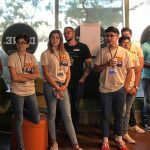 We were introduced to entrepreneurs and startup community influencers, Saul Macias and Audrey De La Rosa. 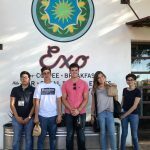 Saul, an Uber executive who works to provide Uber’s services to Southern Arizona, spoke to us about his experience with Uber and how it came about. He also spoke to us about starting a company, since he has also participated in multiple startups. In his first startup, his group’s idea won the competition. Audrey is an entrepreneur who has also participated in many startups. After giving the youth members a brief introduction of herself, she spoke about her experience doing startups and the positive impacts that they have had on her. After hearing from the experts, we got to work thinking about business ideas that could solve problems within our community. To do this, we brainstormed ideas using the business model canvas. Over time, we came to a consensus about two problems to address. One, there aren’t enough food providers in Nogales and two, the unemployment rate is rising. The business we came up with was called “Mom Rockets,” a local meal provider that employs unemployed mothers. We then analyzed the problems that Mom Rockets would solve for stakeholders. For this session we attempted to simulate a conference call using Google Hangouts. Over the call, we learned about proper business planning techniques. Using guidelines given by the United States Small Business Administration, we individually analyzed each step in the business planning process, including: finding a location, calculating the startup costs, conducting market research, and funding the business. Today was a real treat. 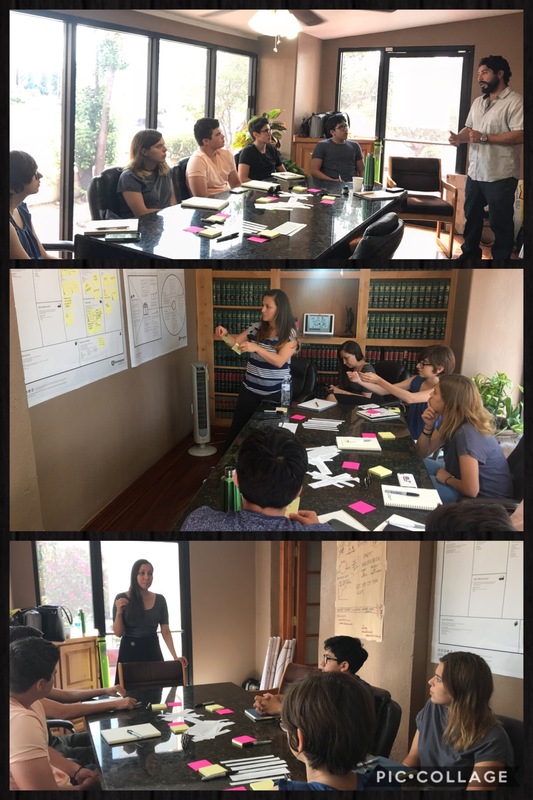 We started the day at Connect Coworking in downtown Tucson. This innovative space allows for small businesses to have an office in a shared community along with space for people to come, work together, and collaborate. 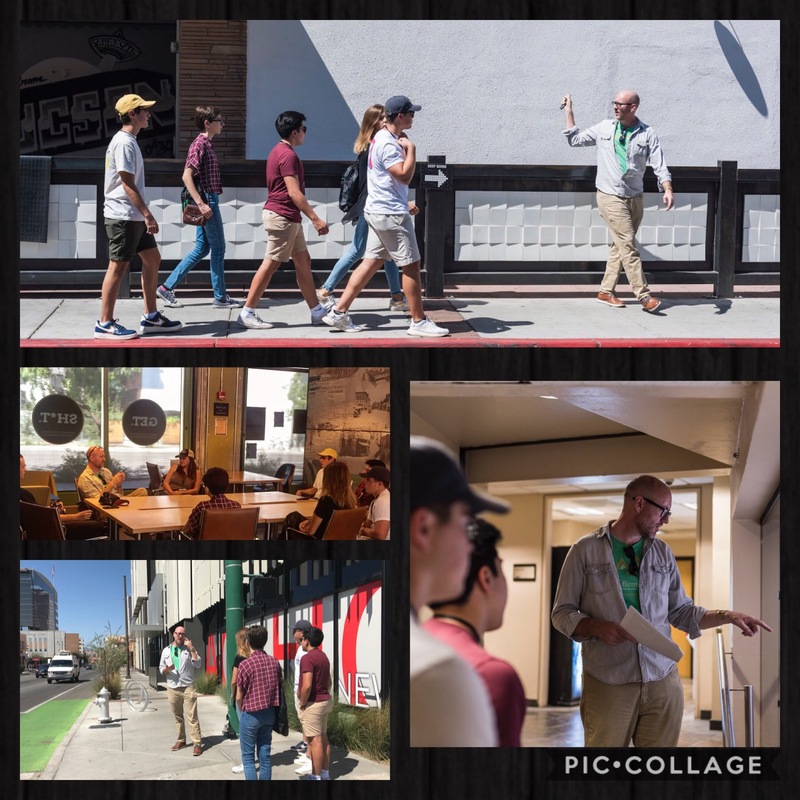 We met Startup Tucson founder Justin Williams, who is largely responsible for the development of a startup ecosystem and innovation district in Downtown Tucson in recent years. As the day moved on, we walked all around the Innovation Sector of downtown Tucson. Williams led us to new businesses now booming in Tucson, Arizona. He gave us insight on how the downtown lifestyle was before the major changes and explained on how these major changes took place. After a very productive and educational day of walking the streets of Tucson we made a pit stop at Street Taco Company for lunch. We finished the day with a tour of a makerspace, Xerocraft where we got to see innovative tools that now help entrepreneurs create products. This session was the most important and most interesting for us, as we got to expand the amazing knowledge we’d learned in all the prior sessions. 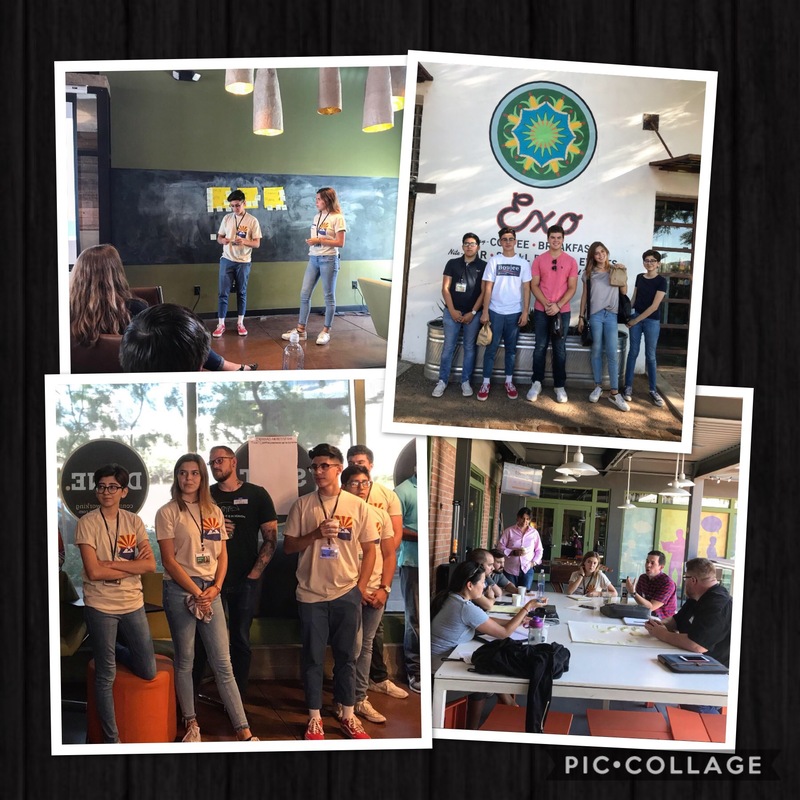 Our goal for the day was to help facilitate a specialized Techstars Community Unsummit in Connect Coworking. The early Saturday morning kicked off with a fun and educational tour of some of the new murals in downtown Tucson with Techstars U.S. Regional Executive, Jordan Rothenberg. Afterwards, we went for coffee and breakfast at Exo Roast Co., one of this program’s sponsors. Then, the real fun began! Heading into the Community Unsummit, a non-traditional approach to a summit where the participants choose the education tracks that would like to discuss, we were prepared to help facilitate the program. This included speaking to the group and instructing them where to go and what they would be doing. Each of us tagged along with one of the groups and discussed various problems in Tucson and how to fix them. We met entrepreneurs, chief executive officers, and other important community members and got to share our ideas with them. In our groups we discussed various problem-solving strategies for about two hours After lunch we came back together to figure out a way to present a viable answer to their problem. The day concluded with a small get-together for dinner. After a remarkable experience at the unsummit and dinner, we returned home. The end result was exposure to CEOs and high ranking officials of all sorts of backgrounds. We also were exposed to different methods of problem solving and pitching your ideas.